Know What is White Tea and Experience White. The enjoyment of Real White Tea is a rare and elegant sensation. Only around 2,000 kilograms of Silver Tips, White Tea are produced each year in Ceylon, constituting less than 0.1% of the country’s production of tea. This rarity comes at a price, for pure Silver Tips White Tea can cost upto 500 times more per kilogram than fine quality Ceylon Tea. Sadly for this same reason, most of the White Tea that is offered around the world is adulterated – a blend of a small amount of white tea and a large proportion of green or black tea, sometimes with no white tea at all. The fine tea must be appreciated in three senses – on the eye, on the nose and only then on the palate. 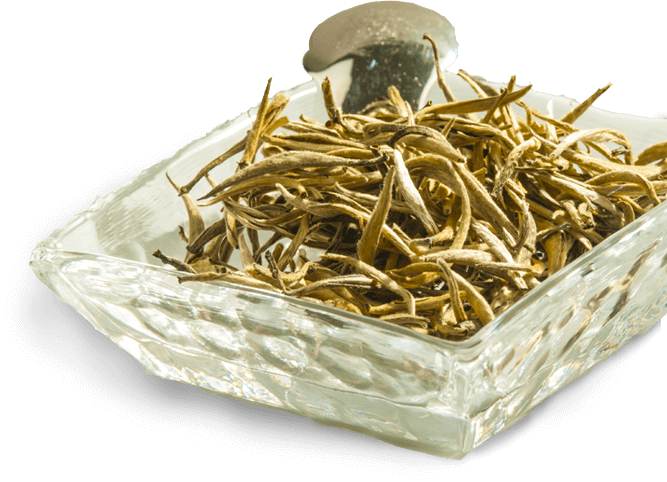 White Tea adds a fourth – the spiritual sense. To enjoy White Tea, the most important element apart from using Real White Tea is quality water. Water that is hard, heavily treated, or has high calcium content – will affect the brewing of your White Tea and either fail to extract the flavour from the buds or destroy the subtlety of taste and aroma. It is safest therefore to use good quality Spring Water. The water should be boiled just once, in a kettle that is clean and free of any remaining water from the previous boil. Water contains certain dissolved gases and CO2 that help brew a good cup of tea. When boiled more than once, these elements are lost and the water can take on a harsh, metallic taint which is not good for brewing tea. Once the spring water has boiled, allow a minute for it to cool a few degrees. Place a Luxury Leaf Tea bag containing Real White Tea into a clean and dry white porcelain teacup, and then pour the freshly boiled water directly onto the bag. Once the cup has filled to around half a centimeter from the brim (should be approximately 225-250ml), agitate the bag to start the brewing. The buds gently impart their flavour and aroma, changing from silver to an olive green hue. After four minutes with frequent agitation, the water will take on a pale yellow tinge. The liquor is subtle and elegant, with a slightly fruity finish. It is elusive, and so needs to be savoured in a calm environment, where the spiritual sense will meld with the experience of the tea on the eye, the nose and palate. Enjoy the Luxury of White.